When I first began writing orchid articles about twenty years ago, books were my major sources of information. 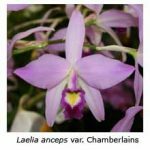 There was ample material when it came to writing about general orchid culture but it was difficult to track down information about particular orchids, especially those recently found. These days one needs only to sit in front of the computer for an hour or so to find all the information one needs for an article on most orchids (assuming that you can spell their names correctly). For those members with only a rudimentary knowledge of computers (which includes me), all one needs to do is ‘go on line’, click on a box that says ‘Search the Internet’, click on ‘Google’, type in the orchid’s name, and click on ‘Search’. You are then presented with a line or two of information summarising a bewildering array of references, from which you can obtain more info by clicking on certain highlighted areas. It pays to be as specific as possible, or you can be overwhelmed with information. 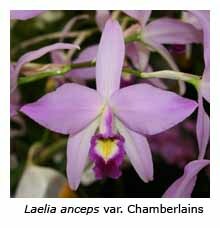 For example, if you do a ‘Google search’ on Laelia anceps, you are presented with a mind-boggling 169,000 references. Fortunately you can limit the number of articles by specifying a cultivar name, such as ‘Chamberlains’ or ‘Chamberlainiana’ (by specifying Chamberlain, you get both). This reduces the number of references to 202, the most relevant being given first. 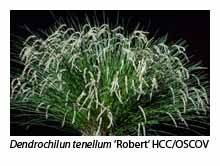 Less commonly grown species, such as Dendrochilum tenellum, still result in a large number of ‘hits’ (773). Even if one restricts the search by including the cultivar name ‘Robert’, there are 57 hits, the most prominent being its OSCOV awards. 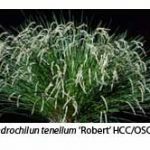 However, if one types in “Dendrochilum tenellum Robert” (including the inverted commas shown), then the search looks for the three words as a phrase, not in isolation, and scores only two hits, both relevant. The recently awarded PNG species Dendrobium chrysopterum yields even fewer references but, even so, there are 226. 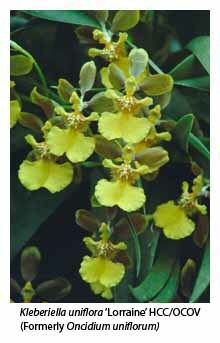 In April 2007 I wrote about the new genus Kleberiella, which Castro and Catharino proposed in 2006 to accommodate six species formerly included in Oncidium. 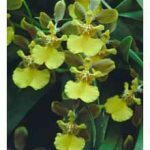 A Google search now reveals six references to Kleberiella uniflora, which is better known to many under its old name, Oncidium uniflorum. Google searches on hybrid orchids also yield far more information than needed for most purposes. Cymbidium Cronulla attracted an impressive 128 hits, but that number was reduced to 6 when the cultivar name ‘The Kahn’ was included. Cymbidium Olive Street gave 871 hits, reduced to 36 when the cultivar name ‘Dinh’ was included. Most members will recall that this highly awarded cultivar won NEMOS member Viny Dinh the coveted Victorian Orchid of the Year trophy for 2006. 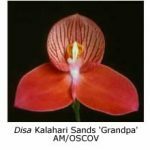 Only two of the 36 references given for this orchid (the first two) were relevant, many of the others referring to cymbidiums or olives grown in such-and-such street etc! However, when inverted commas were placed around Cymbidium Olive Street Dinh, there were only three hits, all relevant. My final example is Disa Kalahari Sands (207 hits), while Disa Kalahari Sands ‘Grandpa’ scored 45 hits. The first few hits referred to OSCOV awards and the Victorian Orchid of the Year competition but most others were irrelevant. However, “Disa Kalahari Sands Grandpa” hit the bullseye with only a single hit. So now you know where I find much of the information contained in my various orchid articles. Some readers have the mistaken idea that I must have an incredible memory. In fact I merely pick the most appropriate bits from Mr. Google’s memory and weave them into my articles! If only I could remember what I wrote last month, then I would be smart!